Overall – This is a highly versatile stone and can work with a lot of different designs, themes and styles. But, it’s typically reserved for more subtle tastes. It has a warm, soft and natural look, which makes it great for elegant understated rooms. It also pairs very well with wood furniture. You can keep it clean and simple for a nice smooth modern feel, or you can make it a bit more ornamental with intricate carving details. But limestone also works if you’re going for a more rustic look as well. 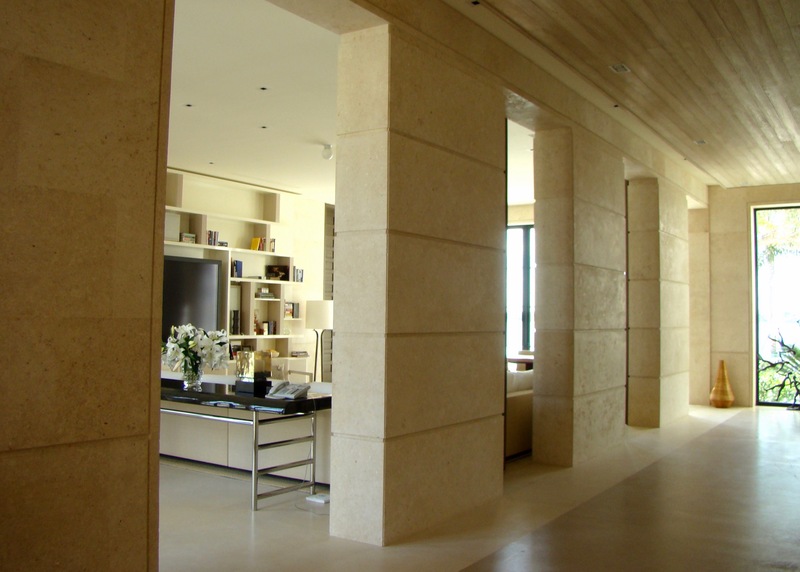 In this case, you would probably want to look into using stacked limestone for that natural hand-crafted feel. Maintenance – This is a soft and naturally absorbent stone, so limestone fireplaces require a sealant to keep them protected and looking fresh. They are also easy to clean with a little warm water and a neutral cleaner product. The main drawback is that it has to be sealed. 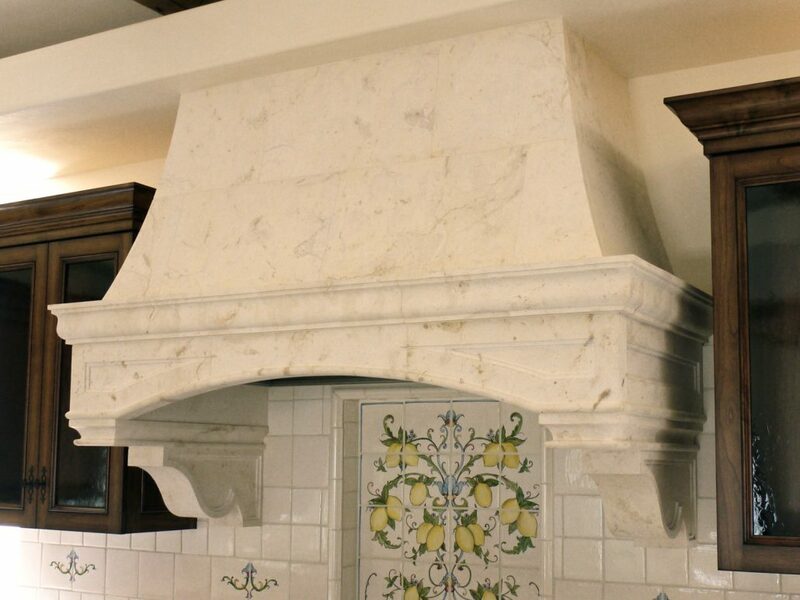 If not properly sealed, or if the seal is not maintained, your limestone fireplace can become susceptible to staining and scratches. Overall – Marble is sleek, elegant and sophisticated. With it’s high-contrast striations and larger variety of colors, marble is a bolder choice than limestone. It definitely makes a statement. But, because of its history as the go-to stone for palaces, temples, and sculptures, marble evokes wealth and extravagance, making it slightly less versatile than limestone. Marble can be polished or honed to change the look of the stone for a more or less formal feel. Maintenance – Marble is extremely durable and easy to maintain, but it also has to be sealed to protect against moisture and acidic products. 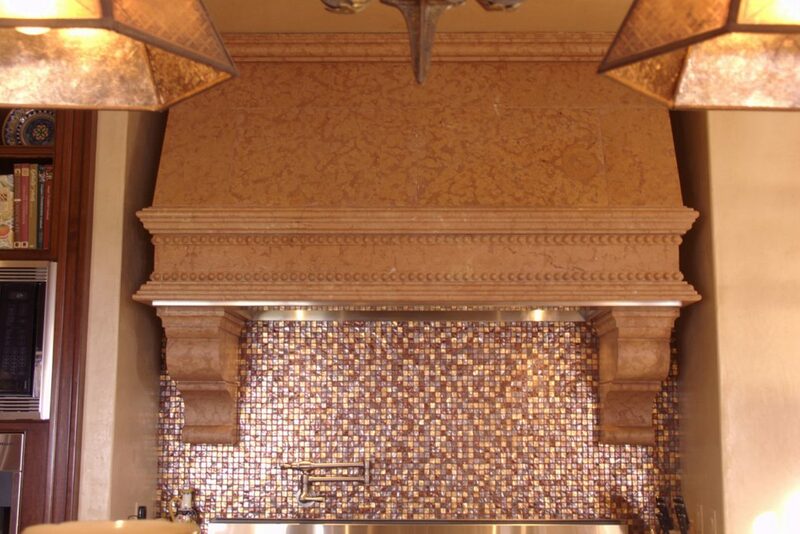 The main to do when looking into custom stone fireplaces is to really think about what you want the whole room to look like. What is the feeling and overall theme you are trying to create in this room? What kind of furniture will you have? Are you looking for upscale elegance? Old-world sophistication? Modern minimalism? Once you have a detailed vision in mind for the space, it should be fairly easy to choose the stone that fits right in with your personal style. Marble vs Granite: How to Choose? Marble and granite are both beautiful natural stone used in most homes and offices in a variety of architectural and interior design styles. However, they’re not exactly the same, and granite isn’t simply a cheaper substitute for marble. These stones have very different physical properties, different aesthetic qualities, and may be suitable for different applications. Granite is a granular igneous rock, composed primarily of feldspar, quartz, mica, and amphibole minerals. Granite is very hard and durable, ranging from a 6 to a 7 on the Mohs hardness scale. It naturally occurs in a variety of colors, including black, beige, grey, and even red and blue hues. Shades tend to range from medium to dark, and have a characteristic speckled appearance. Marble is a very different type of rock. It’s a metamorphic rock, usually composed primarily of calcite or dolomite. Ultimately, it’s derived from limestone that’s been subjected to high temperatures and pressures. Different types of marble are often classified by their region of origin, and colors can range from snowy white to deep green hues. Marble has a more distinctive patterning to it than granite, with bold veins running through it. 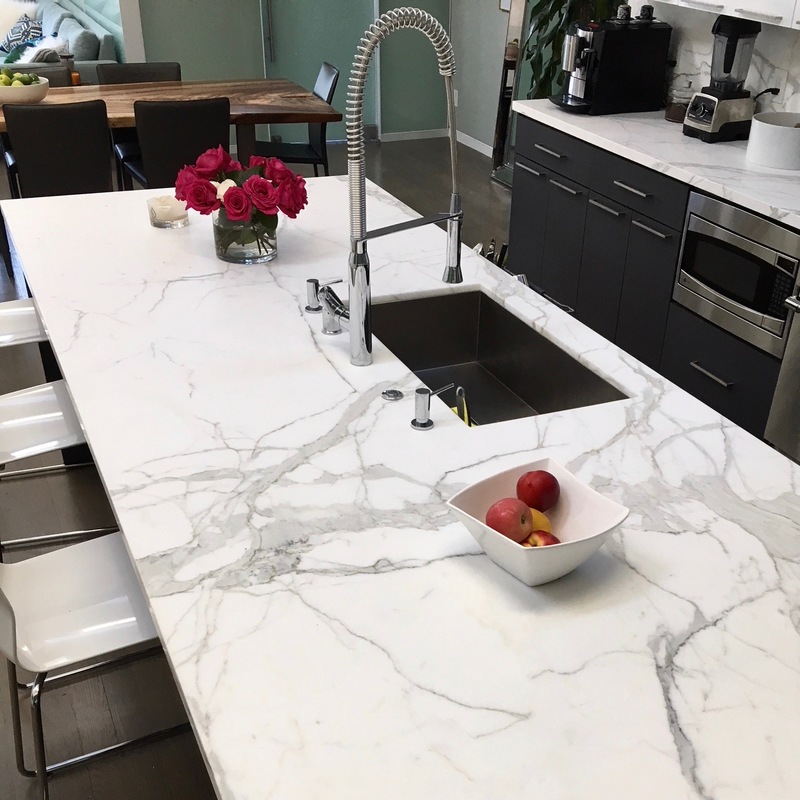 Other than cheap synthetic materials, like laminate countertops, there’s no real substitute for the timeless look and feel of real natural marble. 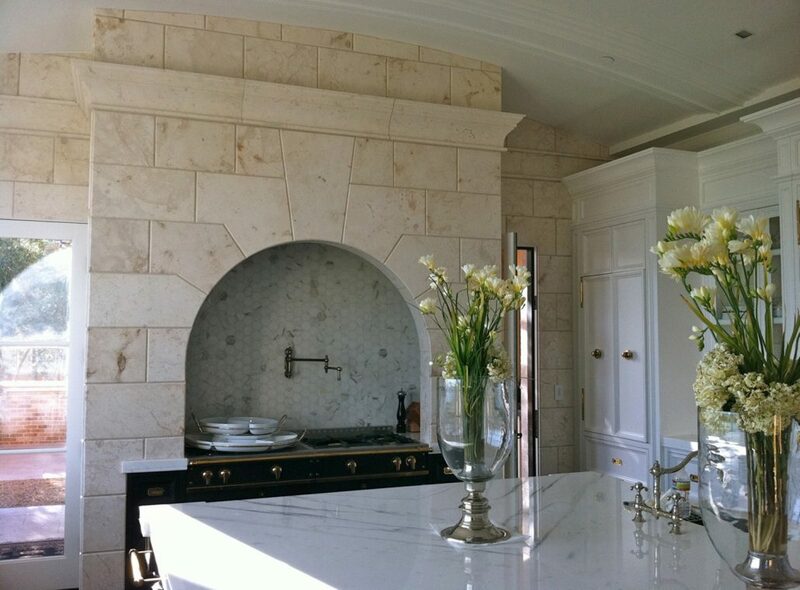 If you have your heart set on marble, granite isn’t exactly a simple substitute. Granite is beautiful in its own right, but it looks quite different. If you’re not sure which one to choose, it’s worth considering your decor style, your lifestyle, and what exactly you’re using the stone for. 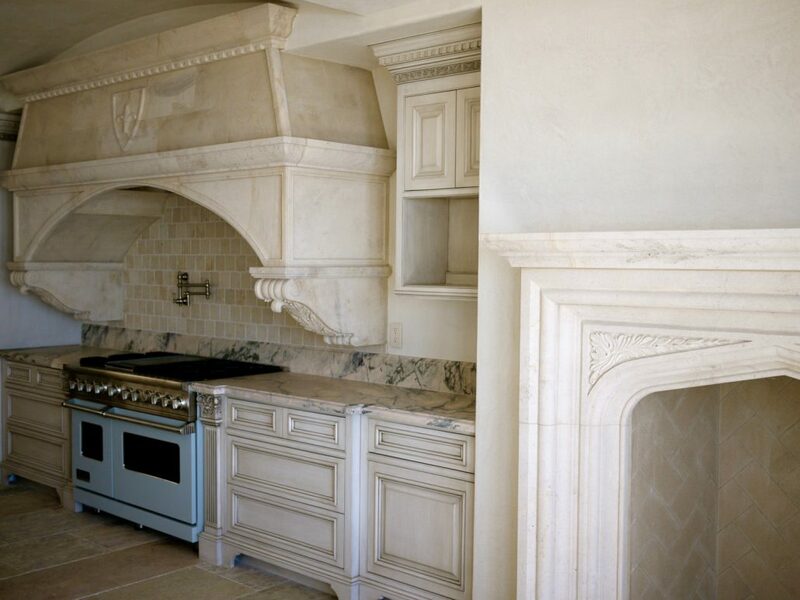 For kitchen countertops, marble and granite are both quite popular choices. However, marble has some drawbacks. For one, it’s rather soft. On the Mohs scale, it comes in at a 3 or 4. For reference, soapstone rates a 1, no harder than talc, but granite usually rates 6 or 7. Granite is definitely more scratch-resistant than marble, and for kitchen use, that can be an important concern — especially if you have pets or children. Marble is also more vulnerable to staining than granite — including water stains. 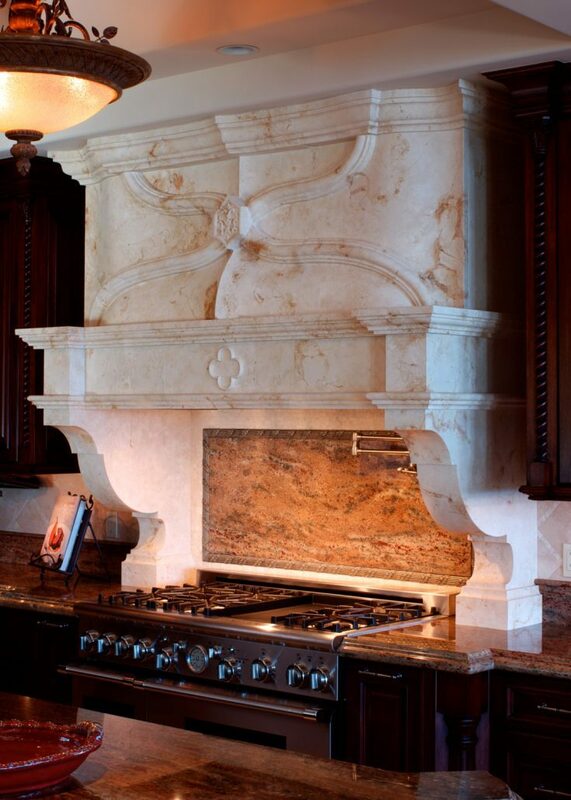 This is more of a concern with white or light-colored marble. It develops a distinct patina over time — some people consider that, a flaw, while others embrace it. It’s really a matter of personal taste. Both marble and granite are relatively heat resistant, which is part of why they’re such popular choices for kitchen use. Care should still be taken with hot pots and pans, but both stones can handle heat without cracking suddenly. 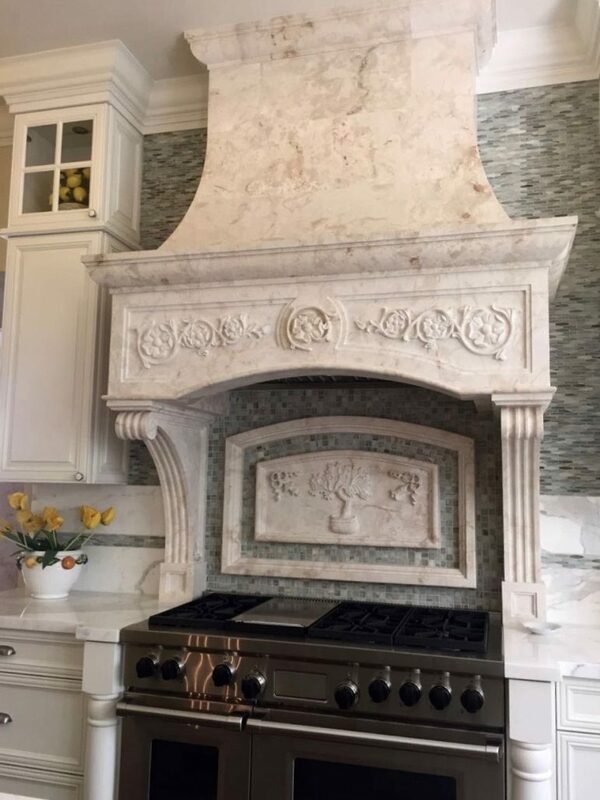 If you’re using marble or granite for architectural features like columns, or for flooring, appearance is often a major factor in your decision. There’s certainly a romantic element to marble columns and pillars, channeling the architectural marvels of antiquity. If you prefer the look of marble to granite, it’s a good choice. Despite its flaws and relative softness, there’s a good reason why marble has been used in architecture for thousands of years. Marble’s elegance can be a disadvantage, however, for certain decor styles. If your style is a bit more rustic or rough-hewn, granite is often a better fit aesthetically. There are two key factors in your decision between marble and granite: aesthetic concerns and practical concerns. For countertops in well-used kitchens, or for flooring and architectural elements in high traffic areas, granite’s durability and stain resistance can be easier to work with. But the aesthetics of marble, its evocation of luxury and classical elegance, are one of its major draws. If that’s what you’re after, you can’t get the same look with granite. https://btarchstone.com/wp-content/uploads/2016/10/iStock_64224909_LARGE.jpg 2737 4000 SEOsupport https://btarchstone.com/wp-content/uploads/2016/05/bt-architectural-stone.png SEOsupport2016-10-25 17:24:532016-10-25 17:27:17Marble vs Granite: How to Choose?